Think you might have dislocated your shoulder? Even if your shoulder has been popped back in already, you may still be suffering from the effects of the injury. 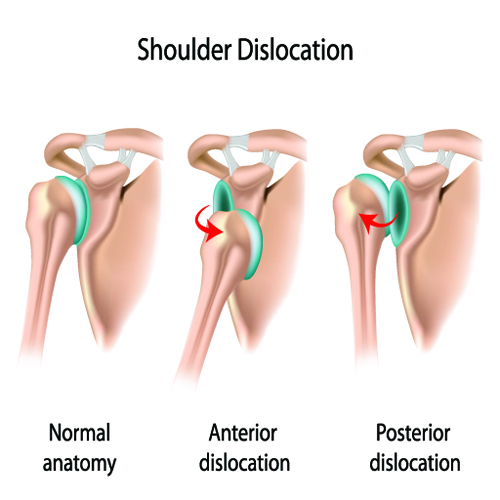 Below, we’ll share an interview with a patient that experienced a confirmed shoulder separation. The patient shares their injury experience, their recovery from a shoulder dislocation, and the timeline of the injury. Did you have any existing or previous shoulder injuries or trauma? I struggled with bursitis in my shoulder from over use in my sport, but no direct trauma before my shoulder separation. While training jiujitsu I was thrown directly on my shoulder separating it at the AC joint. It also caused small tears in the rotator cuff. What did it feel like right after it was injured? I immediately felt pain and over the course of a couple of hours I lost mobility in my shoulder. I couldn’t reach across my body with the injured arm. How did the shoulder feel the next day? The next day was more of the same. I had stiffness and loss of movement in the joint. What was the first 2 weeks like, did it improve? How could you tell? I felt slight improvement over the course of the first 2 weeks especially after some of the swelling went down, but I still didn’t have full range of motion and it was tender to the touch. In the first few weeks, what helped make it better, what made it worse? Ice and rest made it better. I kept it immobile with use of a sling for about a week and a half. Overuse made it worse, I tried to continue training but was very limited in most positions. How did you feel after a month? I wound up going to the doctor and we decided to treat it with stem cell injections. What was the most effective form of treatment for the injury (other than time and rest)? The stem cell injections worked really great for my shoulder. Within two weeks of the injections I was back to my normal activities pain-free. I also haven’t had issues with my bursitis since the injections. How long was the total recovery? Total recovery from injury was about 4 weeks with the stem cell injections. I would say I returned to 100% health after about 2 months. What would you do differently if you had the same injury again? I would get to the doctor sooner. I would want to get the stem cell injections as soon as possible and make sure after the injections I did the PT exercises more consistently. The pain from the injections decreased faster with more movement. This decreased healing time. What are you doing to prevent these injuries further in the future? I am continuing to strengthen my shoulder with physical therapy. It has been much healthier with this approach. I am trying to be as proactive as possible to make the total shoulder stronger. I realize that I may have had weak points before.